Usually, when you put on a diving suit, you’re not prepared to visit a winery. Except if you’re on Pelješac peninsula and visiting the Edivo winery, the first underwater winery in Croatia. 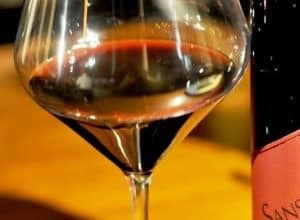 They are the biggest summer attraction in Dubrovnik region and listed as one of the most unusual wineries in the world! The sea really seems like a logical choice. 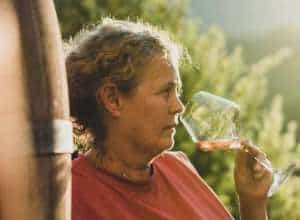 Seawater offers perfect conditions for aging wines. At the depth of 20 meters under the sea temperatures are stable, there is minimum light and the silence that you can find at these depths is tranquilizing both to us and wines. But aging wines underwater has its own challenges. 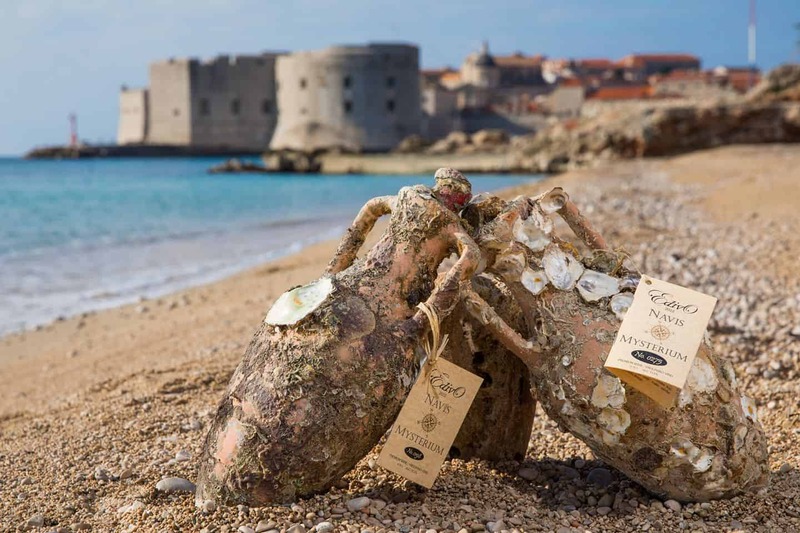 The owners of the Edivo winery had to experiment for two years before finding the perfect way for preserving wines aged in direct contact with the salty Adriatic Sea. 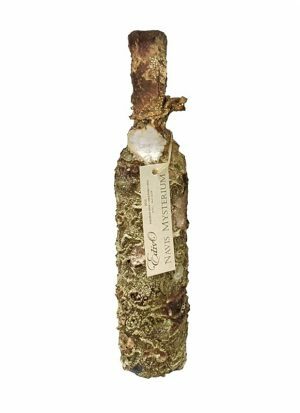 The pressure on these locations is much higher than in wine cellars on the land, so the normal cork cannot stand it. 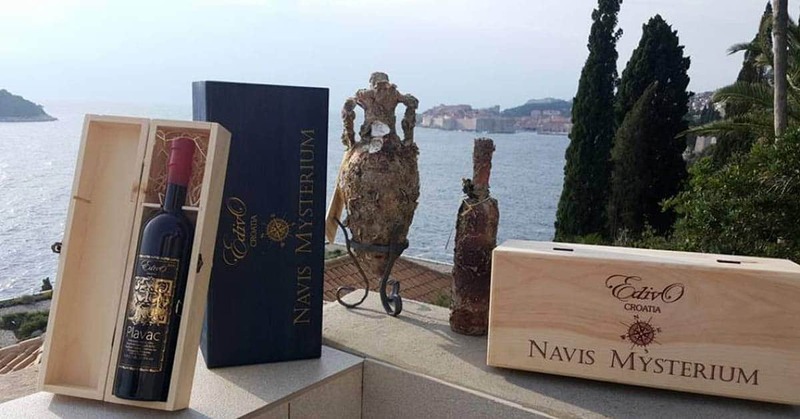 Therefore, underwater, Navis Mysterium wine corks are sealed and protected with a special layer that keeps the wine safe. At the beginning, wine is made and aged for 3 months on the land, before being immersed in the sea. The grape variety is Plavac mali and only grapes from premium vineyards go to the underwater aging process. Here, at its underwater bed, these wines rest for next 18-24 months. All interested visitors are invited to dive in and take a look at the process with the Edivo staff members. Along the way to the positions, you’ll be also able to dive around old ship wreck. After spending 1-2 years at the sea bottom, every bottle or amphora is really unique. Covered in corals, sea shells and algae they alone stand like a piece of art. No two are the same, even when they are placed next to each other underwater. 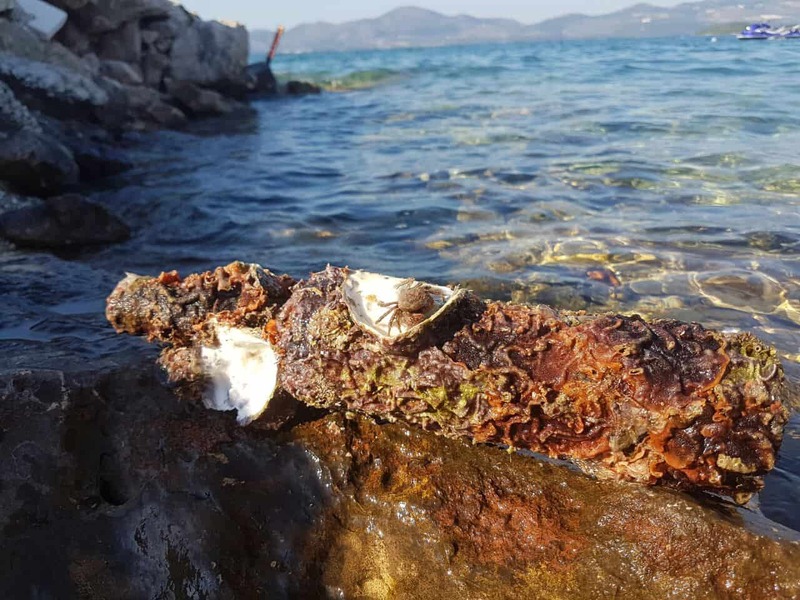 The sea gives its specific mark to each one of them, making them a part of Adriatic that you can take home with! 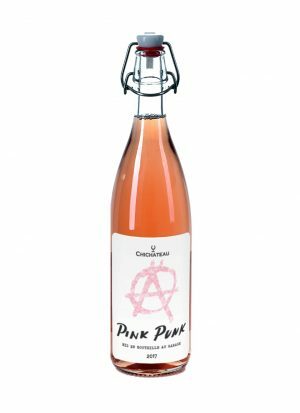 That really sounds like a great souvenir for all us wine lovers! The underwater line of wines is called Navis Mysterium, secrets of the sea. 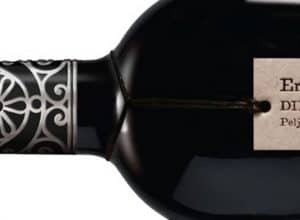 The Edivo Winery offers two types of bottles aged underwater, bottle and amphora. 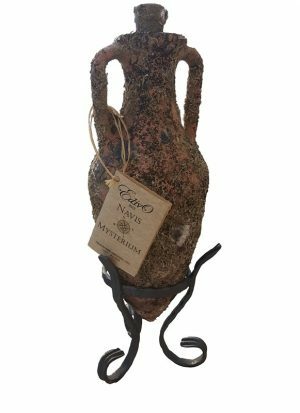 The Navis Mysterium amphora is made by placing 0,75 bottle of wine into clay amphora that is then, placed under the sea. Wines are put in special cages and locked, to be protected from the curious divers. You can order Edivo wines safely from your couch at the Wine&more web shop, and we’ll deliver them in the next 5 working days.